Cynthia Peterson is Executive Vice President of the Broward County Medical Association in Fort Lauderdale, Florida, where she directs and coordinates all programs and major activities of the 1500 member physician association to include their Foundation and Political Action Committee. She has held this position since 1990. Since 1996 she has served as Executive Vice President of the Broward County Society of Plastic Surgeons and of the Broward County Pediatric Society. She served as Executive Director of the Indian River County Medical Society in Vero Beach, Florida from 1967-1990. Cynthia has served and continues to serve on the Boards of several community organizations such as serving on the Board of MediVan Health and Community Services (1990-2008.) She was a Board member of Healthy Mothers/Healthy Babies Coalition of Broward County (1990-2007) and received their Living Legacy Award in 2012. Cynthia served on the United Way Campaign Cabinet (2004-2007) and the Leadership Broward Foundation Board (1996-2002.) She has served on the Broward County Comprehensive School Health Advisory Committee since 1990. She served on the Board of the Broward Healthy Start Coalition (1992-2004) and on the Board of the Broward Regional health Planning Council (2011-2014.) She has served on the United Way Broward County commission on Substance Abuse since 2001. She was on the Advisory Board of the Susan B. Anthony Recovery Center (2004-2009) and on the Board of American Lung Association of the Southeast (2004-2009.) She has served on the Honorary Board of the Special Olympics of Broward County since 2000 and as an affiliate member of the American Medical Association since 1996. 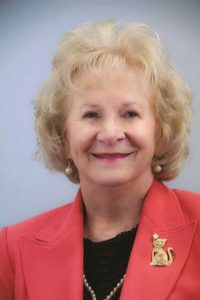 She has been a Board member of South Florida Medical Group Management Association in the 1990’s and again from 2006 to the present and was president of the Conference of Florida Medical Society Executive in 1991 and has been a member since 1980.